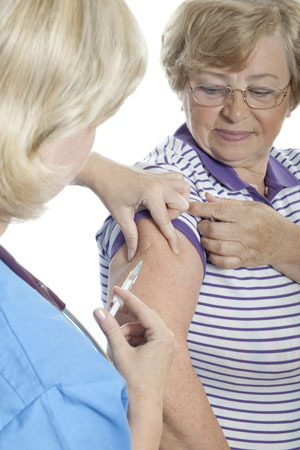 We offer flu jabs to all over 65s and those under 65 deemed to be at increased risk of flu (i.e. those suffering from asthma and other chronic respiratory diseases, chronic heart disease, renal disease, liver disease, diabetes or immunosuppression). We run a day when you can just turn up and book in at reception on the day. This day is advertised beforehand in our local chemists, at the practice and on the website. It is usually held in September / October (dependent on when we get our supplies) so you can contact the surgery near that time to find out the date. Anyone missing this date will be contacted to see when they are able to get in to have one and we will possibly run a second date later on. Here at St George's Medical Practice we provide an extensive range of Clinics and Health Care Services. Our Ante Natal clinic is held in cooperation with our attached community midwife. We carry out all our Child Health surveillance. This is done in close cooperation with our health visitors. We also provide a full childhood immunisation service. All the doctors and nurses in the practice offer contraceptive advice during normal surgery hours. Please contact reception for full details. NHS health checks for those aged between 40 and 74. Due to the large number of tests completed by the practice each day, we are unable to contact every patient with their results. Patients are therefore only contacted if there is any further action required. If you would like to find out about your test results, the easiest way would be to register for online services and request access to your 'detailed coded record'. Once access is granted you will be able to log in to the system and view the results of the tests you have had. If you wish to telephone for your results, please could we ask that you call between 2.00 - 4.00pm as the phonelines are very busy at other times. Chlamydia is the most common sexually transmitted infection in people under the age of 25. It affects both males and females and because it often has no early symptoms, it can go undiagnosed for some time. About 1 in 10 sexually active young people test positive, yet did not know they had it. If left untreated it can cause pelvic inflammatory disease and infertility. As part of the Central Nottingham Chlamydia Screening Programme, we are now offering Chlamydia screening to any patients aged 15 - 24. the test is self-taken and full instructions given. Kits are available from your nurse, doctor or reception, on request. Breast cancer risk is strongly related to age, with more than 80% of cases occurring in women over 50 years old. The highest number of cases of breast cancer diagnosed is in the 50-64 age group, the age group targeted for screening. Many of them are diagnosed as a result of the screening programme. Survival rates for breast cancer have increased, with 72% of women diagnosed with the disease now being likely to survive for 10 years. This is much improved on rates ten years ago when 64% of women would be expected to survive for 10 years. The NHS Breast Screening Programme continues to work closely with units across the region to deliver breast screening for all women aged over 50. Patients are targeted, through their GP surgery, on a three yearly rolling programme. This will therefore mean that you could be invited for screening at any point between the age of 50 and 53, depending on when our practice screening falls. Approximately one in twenty people in the UK will develop bowel cancer during their lifetime. It is the third most common cancer in the UK, and the second leading cause of cancer deaths, with over 16,000 people dying from it each year. It affects men and women equally. Regular bowel cancer screening has been shown to reduce the risk of dying from bowel cancer by 16%. From June 2008 a national bowel screening programme was introduced across Nottinghamshire County. This aims to detect bowel cancer at an early stage when treatment is more likely to be effective. If you are aged 60-69 years old and registered at St. George's Medical Practice, you will automatically receive a free self-screening kit on a 2-yearly basis. 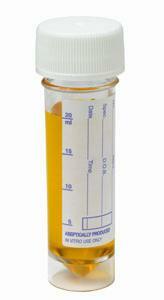 You will be sent a simple test kit to complete in the privacy of your home. This will involve collecting a small sample from three separate bowel motions and, using a specially designed prepaid envelope, returning the kit to the laboratory for analysis. Prostate cancer is a serious condition. The PSA test, which can give an early indication of prostate cancer, is available to you if you want to be tested. However, experts disagree on how useful the PSA test is. This is why there is a lot of research and why there is no national screening programme for prostate cancer in the UK. An information leaflet has been developed (see below) providing balanced information about the PSA test, which will hopefully help you to decide whether or not you wish to have the test.